Asimina tetramera, commonly known as the four-petal pawpaw, is a species of flowering plant endemic to the state of Florida. 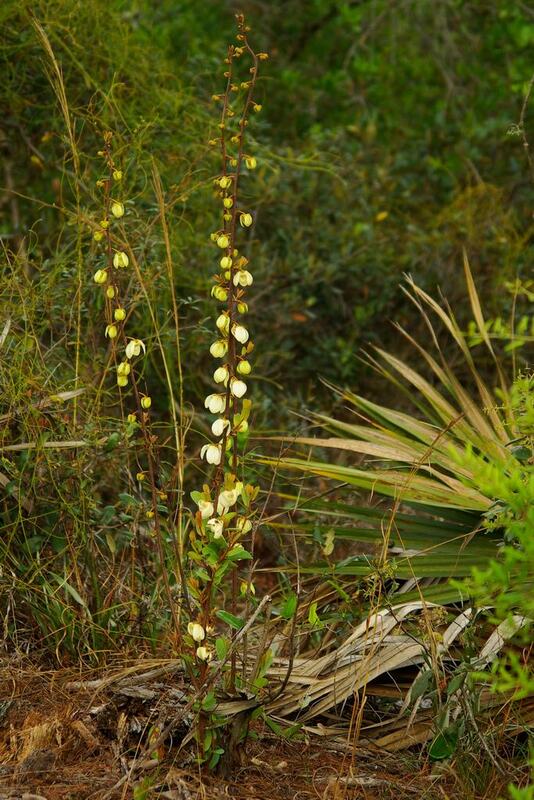 There is a total population count of about 950 plants, all of which are limited to areas in Martin and Palm Beach Counties in Florida. (You can tell it’s a four-petal pawpaw because there are six petals.) I prefer to keep the location of this one unpublished. 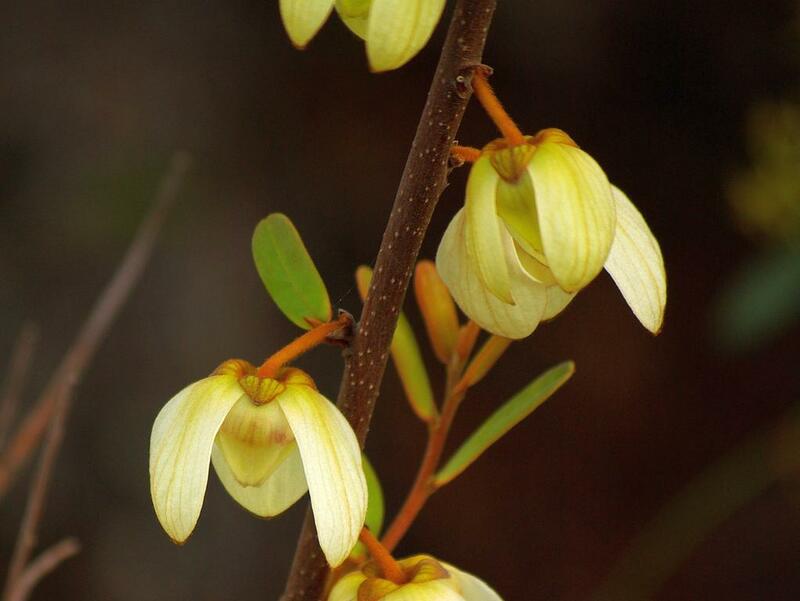 This entry was posted in Environment, Florida -- General, Flowers, Outdoors, Photography and tagged Asimina tetramera, endangered species, Environment, Florida -- General, Florida native plants, florida scrub, Flowers, Outdoors, Photography, Scrub Pawpaw on March 15, 2012 by Bill. did the scrub pawpaw exist on the southern gulf coast at one time – say nineteenth century? I’m not sure what you mean by ‘Southern Gulf Coast’. If you mean of Florida, say South of Tampa, probably not. However the scrub band stretched continuously from the SOUTHEAST coast of FL to Northern Mexico along and just inland of the Gulf a couple of million years ago, and much of it still remains, especially in Levy and Dixie counties. The pawpaw is endemic in most of that area. It’s possible that isolated pockets occur on sandy uplands South of Tampa Bay . I was hoping for a ‘probably, yes’ answer – but, thank you. I am in Olga, (up river from Fort Myers) North of the Everglades but certainly part of the scrub and still undeveloped lands that existed late into the last century. I have neighbors that talk about the Custard Apple being very thick around the eastern edge of Lake O, but concentrated more in the Kissimmee River valley at the SE section of the Lake spreading down into the Devils Garden. I have also heard mention of the pawpaw, spreading outwards from Lake O, but whenever I ask specifically, nobody can verify their existence. Check with your local agricultural extension office. They would likely know, or be able to direct you to the right resources. As I understand it, the true scrub habitat stopped at the south end of the Ridge near Hicoria. But there could be a few islands of pawpaw south of there, as they are spread by animal droppings.